Every now and then everyone needs to pamper themselves. In this day and age life is full hectic routines, environmental population and constant stress. When we were young all we want to do was grow up but as we grow older we realize that it’s not all its cracked up to be. All we want to do is go back to the good old days not only to enjoy the feeling of carelessness again but also to have the beautiful skin we once possessed. These days when you look in the mirror what do you see? Do you feel your skin is puffy, dry, loose or just in need of some loving? A facial message is just what you need to rejuvenate your skin. A facial massage can not only help firm up your skin, it also makes you look and feel younger. In addition to all the visible benefits, facial massage helps you to relax, reduces stress and gives you a feeling of from simply pampering yourself. By making facial massage a part of your daily routine you’re doing yourself a huge favor. There are a number of different types of facial massages, so you should try a few different one’s to determine which one suits your skin the best. Facial massage can be done by an esthetician, a cosmetologist or a professional massage therapist. A simple massage can be done at home. Nowadays there are many mechinal massaging devices avalible in market to help you with your facial massage. The word massage has its origin in many different languages like French, Latin, Greek and Arabic. In French massage means “friction of kneading”, or Arabic massa means “to touch, feel”, or Greek massō means “to knead dough, to work with hands”. Massage has been used in many cultures since ancient times for reliving pain, healing and esthetic improvement. The first written record of massage therapy can be found in Chinese medical text, which dates back to 3rd century B.C. The Greek, Indians, Persians also have significant records of massage treatment in their early medical literature. 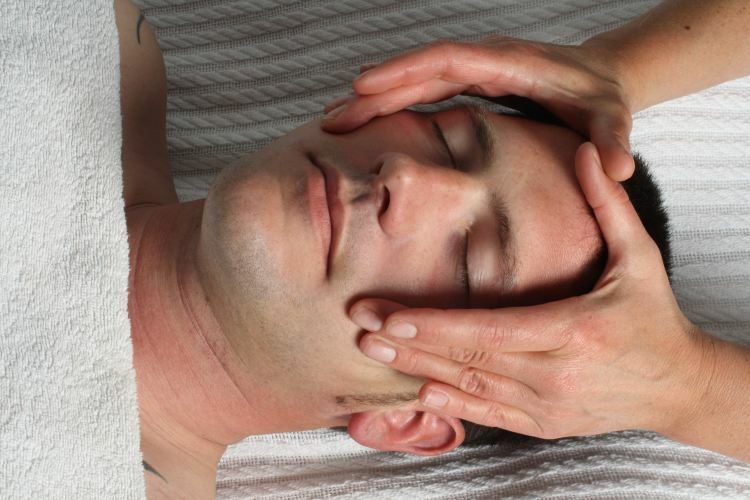 The Western version of facial massage is a relatively new innovation of the twentieth century. It has gained exceeding popularity in Europe. Many of the best European practitioners have setup shop in other Western countries to help teach others. These days facialmassage is becoming more the domain of makeup artists and estheticians then massage therapists. Have you ever woken you, looked in the mirror and thought how did my skin get like this? Puffy, pigmented, loose, lackluster? Well all these things tend to creep up on you when you’re not looking. Facial massage is the best and the easiest way to revitalize your skin, body and mind. Facial massages are of various type and have numerous benefits. Making a simple facial massage a part of your daily night or morning routine will help brighten your skin and make you look and feel refreshed. Facial massage is also a great option if you need a pick-me-up or just need to sooth your nerves. So indulge yourself once in a while and go enjoy a profession massage, it’s a great way to reset your tired body. Radiance: Facial massages are a great way to pamper yourself and brighten your skin at the same time. Facial massages have been used in many cultures since ancient times for their esthetic benefits. Facial massage with a vitamin rich face oil will make your skin glow and shine. Facial massage helps increase the blood flow to the face and sooth the muscles. The increased blood supply to the face gives it a better color and refreshed look. Apply a small amount of face oil or lotion to your fingertips and lightly spread it on your face. Now use a firm but not hard hand to massage your skin in smooth circular motion. To see marked effect on face the massage should be repeated a few times. Detoxification of skin: Detoxification is the removal of impurities from your skin. The face becomes lackluster due to all the stress and the environmental pollution we face every day. A great way to detoxify your skin and make it look refreshed is a facial massage. A facial massage helps the removal of layer of dead skin cell from the face and gives it a glowing appearance. The massage helps stimulate blood flow and lymphatic drainage, this helps the removal of toxins that have accumulated in the skin. Facial massage also helps moisturize the skin. The massage helps relieve tension that in return gives the face a younger and happier look. Facial massage not only makes you look good but feel good. Stress: Life in this day and age is full of deadlines, frustrations and demands. For some people stress is so common that it has become a way of life for them. Little stress is always good to keep you motivated but too much stress can lead to headaches, depression and irritability. Facial massages are a great way to pamper yourself and steal a little “me” time. A good facial massages has the ability to lull you to a state of drowsiness. Facial massage has the ability to sooth your body as well as your mind. You can always place a warm or cold towel on your face before or after a massage to get that added effect. When doing the massage make sure to focus more on the pressure points. Dark circles: It is often claimed that dark circles occurs due to tiredness or lack of sleep but the truth is genes also play an important role. The dark circles under your eyes don’t only gives you a lackluster appearance but also a sickly appearance. As we age the skin loses elasticity and becomes thin, so the veins under the eyes become more prominent. A gentle facial massage concentrating around the eye is a great way to make the dark circles less prominent. Gently massage the area around the eye, starting from the arch of the eyebrow and moving outward and completing a full circle. The strokes should be gentle and circular. Uneven pigmentations: Uneven pigmentation can occur due to accumulation of impurities in the skin or due to decreased collagen. Uneven skin tone is a big taboo for most women and they freak when they notice any variation in skin tone. The main cause of uneven pigmentation is prolonged sun exposure, so avoid going out in the sun. Facial massage helps replenish the moisture to the skin and to remove the top layer of dead skin cells. Facial massages increases blood flow to the face, which help remove toxins from face and give it a refreshed and even toned glow. Blackheads: Blackheads from when pores in the skin become clogged with dirt and impurities. The accumulation of dirt in the pores causes in to open up and the top layer of impurities is oxidized and thus the dark back color occurs. Blackheads occurs mostly on the nose and are a cause of great irritation for most women. Applying a warm towel to the face before a massage is a great way to soften the skin and open pores so the blackheads can be easily removed. A facial massage with lukewarm honey for 10-15 minutes while concentrating on the affected area is a great way to get rid of blackheads. It might take 2 to 3 repeated massages to get rid of all the blackheads. Unwanted hair: Unwanted facial hair are every women’s biggest enemy. Facial hair in the wrong places have the ability to hinder one’s beauty. 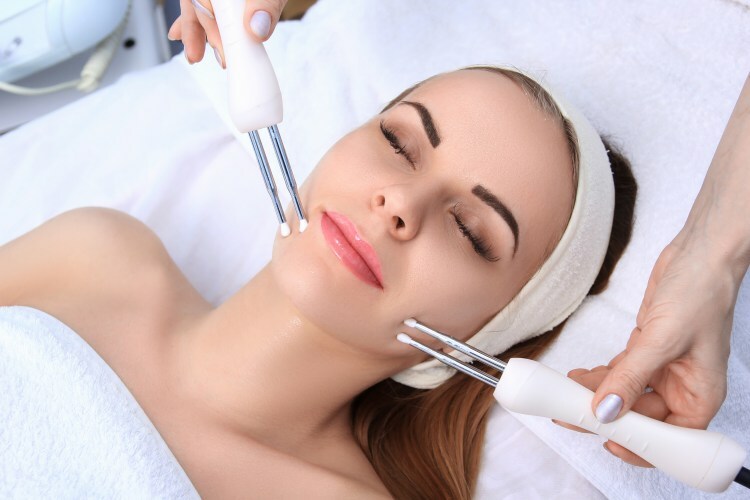 Most women will try anything to remove those hairs from laser surgery to home remedies. Facial hair has a way of making a person self-conscious. Facial massage with sugar and lemon juice is a great nature and cheap way to get rid of unwanted facial hair. The lemon juice and sugar should be mixed to form a scrub like consistency. This scrub is the firmly massaged in to the skin with quick and vigorous hand movements. Don not expect instant results, be patient you will see results after a few repeated massages with this mixture of sugar and lemon. Acne scars: Acne is a skin condition that is more common in teenagers. This disease occurs due to blockage of hair follicles with skin oils and dead skin cells. Acne leads to formation of numerous pimples all over the face, while the pimples subside with time they sometimes leave scars. Facial scars are a major causes of low confidence level and self-image. While everyone is beautiful no matter what as long as they have a great heart but the society doesn’t think so. Acne scars can be removed by using pure natural oils to massage your face. The trick is to massage repeatedly and to always use quick and vigorous in back and forward motion, circular strokes may not be useful here. Anti-aging benefits: There are many different types of facial massage and they have many different benefits. One of the most important or desired benefit of facial massage is its anti-aging effect. Professional facial massages are a great less expensive alternative to Botox. Facial massage can help rejuvenate the skin to make it glow, look and feel refreshed. A good facial massage increase the blood supply to the face, giving it a healthy glow. It also helps relieve tension from the facial muscles. Massage can help increase muscle tone, strength and tighten muscles. Daily light facial massage can work wonders for your skin. But you have to be patient it takes a little time for the outward benefits of facial massage to be visible. Increase collagen: A good and proper facial massage helps stimulate the formation of collagen in the body. Collagen provides strength and strong frame to the facial features. As a person grows older, the production of collagen in there body slows down. Reduced collagen in the body can lead to many things, common of which are: wrinkles, crow’s feet and decreased muscle tone. A 10 minute facial massage daily can help liven up and tighten the skin. Increases collagen helps repair the small damages to the skin that we aren’t even aware off. Facial massage makes the skin appear fresh and young. TMJ problems: Temporomandibular joint (TMJ) is a bilateral synovial joint of the jaw. This joint forms articulation between temporal bone and mandible. TMJ is responsible for all the jaw movements from eating to talking. There are four muscle shave are attached to this joint. If a person is experiencing temporomandibular joint dysfunction it can hinder their quality of life. TMJ problems can also cause orofacial pains in surrounding structures. There are many kinds of facial massages and some of them mainly focus of reliving myofacial pain in any part of the body. The facial massage helps loosen the muscles and relieve tension. Massage can also help resolve a small amount of inflammation that may be TMJ problems. Bell’s palsy: Bell’s palsy is caused due to dysfunction of facial nerve (7TH cranial nerve) leading to paralysis of the face, the paralysis maybe temporary or permanent. People suffering from Bell’s palsy have no control over blinking, salivations, lacrimation, flaring of the nostrils, in addition to this they lose the taste sensation in the anterior 2/3rd of the tongue. Bell’s palsy has a big impact on a person’s quality of life. Facial massage is an alternative to conventions therapies. There are special type of facial massages for people with Bell’s palsy. Facial massage is a great way to help increase muscle tone. Massage also helps prevent wasting and atrophy of muscles. Massaging the face can also help speed up recovery of people with temporary Bell’s palsy. Blocked sinus: Any who has ever had sinus problems will tell you that they are a major pain. There are many causes of blockage of sinus but the most common causes are common cold and allergies. Blocked sinuses can not only cause nasal congestion but also eye irritation and headaches. Facial massage is an alternate approach to management of you blocked sinuses. A 20-25 minute massage focusing on the nasal area can help unclog your nose. The massage should start at the bridge of nose, use small outward circular strokes to apply pressure. Now move downwards to the nostrils while repeating the circular outward strokes. This massage also helps increase blood supple which in turn helps clear up congestion. Wrinkles: Wrinkles start to appear as we grow old. Wrinkles appear due to decreased collagen and elastin production, along with decrease in muscle tone. Most people see facial wrinkles are a black mark to their beauty, so it reduces their confidence and lower their self-image. Facial massages are a safer, cheaper and more natural alternative to get younger looking then Botox. Massage helps increase muscle tone and stimulate the production of collagen. While doing a facial massage to minimize wrinkles always remember to move your fingers in a circular motion directed outward and upward on face but on the neck the motion should be outward and downward. This helps tighten the skin and gives you a younger and fresh look. Dryness: Winter are the time to huddle up under the blankets, to drink spiced hot chocolate and enjoy the weather. But the one thing about winter that everyone dislikes is the dryness. In the winter the moister is sucked out of your skin leaving is looking dry and rough. Facial massage with a face oil or a good moisturizer is a great way to replenish the moisture that your skin has lost. Facial massage is a great way to get longer lasting moisturized skin because the lotion or oil is incorporated in deep. Facial massage also helps increase blood supple to the face that also helps regain the moisture and makes the face look refreshed. Broken capillaries: The tiny vessels under the skin are delicate and can easily be broken. It’s not difficult to spot broken capillaries on your or someone else’s face. Many tiny capillaries dilate, break and for a bruise like reddish spot on the face. Getting rid of broken capillaries is difficult, so it is better to avoid getting them in the first place. Facial massage with almond oil rich in vitamin E is a great way to reduce and avoid getting more broken capillaries. A gentle facial massage with almond oil helps replenish the skin and help reduce visible signs of broken capillaries. Doing an almond oil facial massage at night is a great idea because it is too greasy to use in the day. Muscle tone: Muscle tone is the subconscious contraction of the muscle at rest. This is also called residual muscle tension. The more conventional definition of muscle tone is ‘the muscle that appears well defined and firm”. Muscle tone keeps your muscles ready for action. It also plays a role in balance and posture. A good muscle tone can boost a person’s confidence and self-image. As we grow old due to loss of collagen and elastin, the muscle tone decreases. Facial massage helps increase muscle tone by tightening the muscles. Facial massage also helps increase blood supply which supplies nutrition to the muscle to keep up its tone. Regular massages can also help stimulate the formation of collagen, which helps hone the muscle tone. Headaches: Headache characterizes the pain anywhere in the head and neck region. The brain itself does not experience pain because it lacks pain receptors. The pain is caused by stimulation of pain sensitive areas and structures surrounding the brain. There are many different types and causes of headache. The most common causes of headache are stress, common cold, sinus issue or trauma. Massaging the face and the neck is a great alternative for management of headache. The massage done to relieve headache should concentrate on the trapezius muscle in the neck and the temporalis muscle in the scalp. Massage helps loosen the stressed muscle and relax the body as well as the mind. Headache applying a warm towel to the face before a facial massage can also help alleviate headache. Chubby checks: While children with chubby cheeks make everyone go gogo-gaga, adults with chubby cheeks don’t have the same effect. Chubby cheeks can make a person feel dishearten because they perceive it as a negative on their face. But you should remember genetics and your body type play an important role when considering where excess body fat will deposit, so even slim people can have chubby cheeks and even obese people can have well defined cheeks. Facial massage is a superb way to lean off that excess fat that makes you cheeks look chubby. Facial massage helps the fat breakdown and increase the blood circulation. You might bot see the results in a day or two but if you do a light facial massage concentrating on your cheeks, you are bound to notice results in a week or two. Lymphatic drainage: Lymphatic system is a part of the human circulatory system and is composed of lymphatic vessels and lymph nodes. The lymphatic system contains lymph, which plays an important role in immunity because it is rich in white blood cells. The lymphatic system is the recycle bin of the body. A special type of facial massage called manual lymphatic drainage (MLD) is done to drain the lymphatic vessels. Lymphatic drainage gives the skin a radiant appearance because all the toxins that were accumulated in the lymph removed. Gentle pressure is applied along the lymphatic vessels to stimulate there contraction, the movement of muscle due to the massage helps propel the lymph forward. This type of massage can also help resolve small amount of inflammation is present on body. Allergies: There are numerous causes of allergies but here we are taking about common allergies like pollen allergy or dust allergy. The symptoms of allergic reaction can include headache, itching and redness of eyes, nasal congestion or runny nose. Facial massage is an alternative but effective way to manage the symptoms of allergy. The most common type of facial massage that helps relieve the symptoms of allergy is the sinus drainage massage, it lasts about 20 to 25 minutes. The massage is started by placing a warn towel around the face for a few minutes, this helps the facial muscles to relax. Start by applying gentle strokes on the forehead pushing it from both sides towards the middle. Then gently massage the bride of the nose and nostrils in an outward circular motion. Now massage the area around the eyes and the cheeks. Lastly massage the area in front of the ear. Repeated his patter 2-3 times to help relieve symptoms. This helps increase blood supply and lymphatic drainage, which in turn help clear blocked sinuses. The massage also helps alleviate the stress caused by the onset of allergic symptoms. Double chin: The accumulation of subcutaneous fat in the area around the neck, which sags are creates the appearance of double chin. It is not necessary that only obese people will have double chin, slim people can also have it. Double chin can occur due to incorrect posture of head while studying or working. Double chin gives the face a shaggy and loose appearance. The best way to get rid of double chin is facial massage. 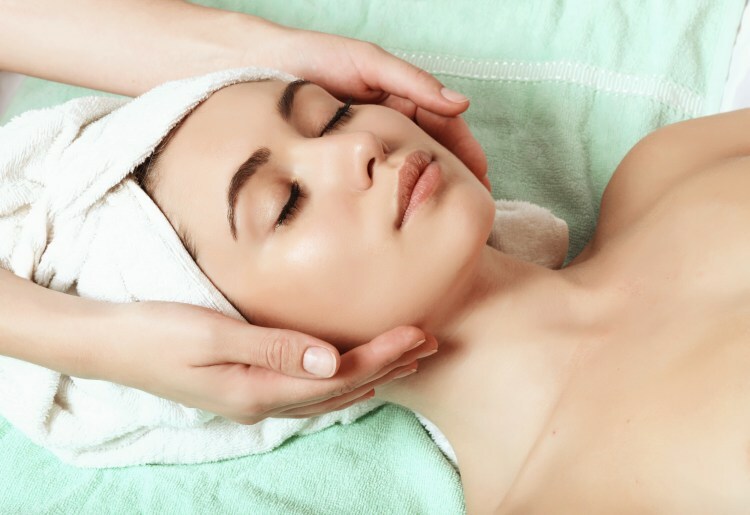 Facial massage helps tighten skin and muscles in the face and neck. It also helps increase blood flow to the area so any water accumulated in that area can be cleared away. Tilt your head slightly backwards, tighten your neck muscles and apply pressure with finger from the tip of the chin towards base of neck. In order to appreciate visible results, massage your face for about 10 minutes every day. Crow’s feet: Crow’s feet are the wrinkles that appear at the side of our eyes. Some people consider these wrinkles to hinder their facial beauty, while other optimistically call them “laugh lines” or “character lines”. These lines occur because as we grow old, the production of elastin and collage in our body slows down. Due to decreased collagen and elastin the skin appears loose and fold appear that are called wrinkles. Facial massage with almond oil (rich in vitamin E) helps smooth out these wrinkles and slows down the formation of new wrinkles. Before starting the massage make sure you wash your face. Place some oil of your finger tip and gently massage it into your skin paying close attention to the area around the eyes. Repeated massages also help increase collagen production, which helps tighten skin. Since ancient times facial massage has been a part of many cultures for medical and cosmetic purposes. Over this is period different cultures, different time periods have inspired and innovated different types of massages. Facial massages can give you a surgery-free face lift, radiant skin, can make you look and feel rested. Acupressure: The word acu has its origin in Latin acus meaning “needle”. Acupressure works on the similar principle as acupuncture. Acupressure is based on traditional Chinese medicine (TCM) concept that life energy flows through “meridians” in the body. In this type of massage pressure is applied on acupressure points to clear blocked meridians. Pressure can be applied manually by hand, elbow or by various devices. Studies have should that acupressure is helpful in managing nausea, vomiting and tension headache. Acupressure provides temporary relief and most researchers believe that the relief is due to placebo effect (if a person believes that the technique will benefit them, they will feel improvement in their condition). Manual lymph drainage: Lymphatic system, composed of lymphatic vessels and lymph nodes, is a part of the human circulatory system. Lymph flows through the lymphatic system and is rich in white blood cell. The lymphatic system has an important role in immunity. Manual lymph drainage massage (MLD) aims to stimulate the natural drainage of the lymphatic system and encourage the flow of waste from tissues back to the heart. A specific amount of pressure is applied in circular rhythmic motion to stimulate the flow of lymph. This massage helps stimulate the intrinsic contraction of the smooth muscles of the lymphatic vessels and the movement of the surrounding muscles helps propel the lymph forward. Myofacial release (MFR): This is an alternative medicine therapy that helps in management of skeletal muscle immobility and pain. Pressure is applied to the muscles with hands, knuckles or various devices to slowly stretch the fascia. Pressure is repeatedly applied till you feel a give / release in the muscle. This is also called deep tissue work. This therapy aims at relaxing the muscles and stimulating the blood supply to the region. Shiatsu: The word has its origin the in Japanese meaning “finger pressure”. Shiatsu is Japanese massage therapy that mains at stretching and mobilizing joints. Palms, thumbs and fingers are used for this type of massage. Shiatsu practitioners use palpation and pulse to help perform this type of massage. First make sure to clean your face and remove any makeup you might have on. Rinse face with lukewarm water and gently dry. Now apply a light layer of face oil (argon oil or almond oil). Use the oil that you feel is compatible with your skin type. Pour a bit of face oil on your fingertips and slowly move your finger across your face. Remember to do not dragger your fingers across your skin, instead move them across your face smoothly. If you don’t want to use face oils then use any moisturizer that suits your skin. You can also do this massage to without using an oil or lotions (dry massage). You should do each of the following steps for at least 30 seconds). Begin the massage at the lymph area. The toxins drain from the face into the lymph vessels. Use wide circular sweeping movements under the ear and then move towards the neck but making sure to move along the jaw. Use a firm hand but make sure do not apply to much pressure. Massage the sides of your face in smooth circular motions. Push the skin upwards and outwards. Massage your forehead in outward circular on the both side at the same time. Start from the temples and gradually move towards the center. Now massage your eyes. Press you fingertips to the arch of your eyebrow, move the fingers gently in outward sweep around the eye. Massage the nose either with middle and index finger of both hands or between the index finger and thumb of the same hand. Start at the bridge of the nose, move your fingers in small outward circles while moving down towards the nostril. Now repeat these steps once more and you’re done. Facial massages are a great way brighten your skin and your day. Always remove any makeup you might have on and properly clean your face before a facial massage. Make sure the products you are using are compatible with your skin type. Always make sure you have a bowl of water nearby in case any of the products that you use while massaging comes in contact with your eyes. Always make sure to remove contact lenses to prevent damage to the eye. Do not do a facial massage if you have any recent facial injury, scar tissue or facial inflammation. Don’t expect instant results after just one massage. It takes time and multiple facial massages to fully appreciate the difference in your skin. A typical facial massage mostly should not last longer than 20 minutes. Too long or too often facial massages can cause the stretching and lengthening of the facial muscles. This gives a shaggy appearance to the facial features and the defects the whole purpose of facial massage, which is to increase muscle tone and tighten skin. Special care must be taken for people with sensitive skin while doing a facial massage. People with sensitive skin bruise easy. Along with easy bruisability, sensitive skin can be easily damaged and irritated so during a massage you must be careful not to exert too much pressure. If a person is wearing contact lenses they should be removed before the massage is started. The pressure on the muscles and skin around the eye can cause damage to the lenses, which in turn can cause irritation to the eye. So removal of lenses during a massage is an absolute must. Facial massages are contraindicated in people suffering from eczema, acne and psoriasis. Acne is chronic skin condition that occurs when hair follicles become clogged with skin oil or dead skin cells. Eczema is inflammation of skin that causes itchy, red and dry skin. Psoriasis is an autoimmune disease that causes patches of abnormal skin to form. These conditions are aggravated by facial massages. Trigeminal neuralgia is a neuropathic disorder that causes intense pain in the face. The pain can originate from different locations and it can be felt in the area around eyes, lips, jaw, cheeks and scalp and forehead. The pain can be excruciating and unbearable. Neuralgic pain can be triggered by the lightest touch, so people suffering from this disorder should avoid facial massages. Facial massage should also be avoided in people who have boils, rashes or cuts. Facial massage of these people can lead to unnecessary pain. People who have inflamed skin or recent scar tissue should also avoid massages because it can exaggerate there condition. While facial massage has some great benefits, such as skin detoxification and brightening, acne scar, blackhead or uneven pigmentation relief as well as collagen increase and temporomandibular joint muscle massage there are also some precautions to be aware of. You should never massage your face if you suffer from trigeminal neuralgia, skin rash or any other condition, which may be aggravated by facial massage. Also you should know that there are several types of facial massages and a proper type appropriate for you should be selected by a specialist. Important! This post does not replace or substitute proper medical treatment. 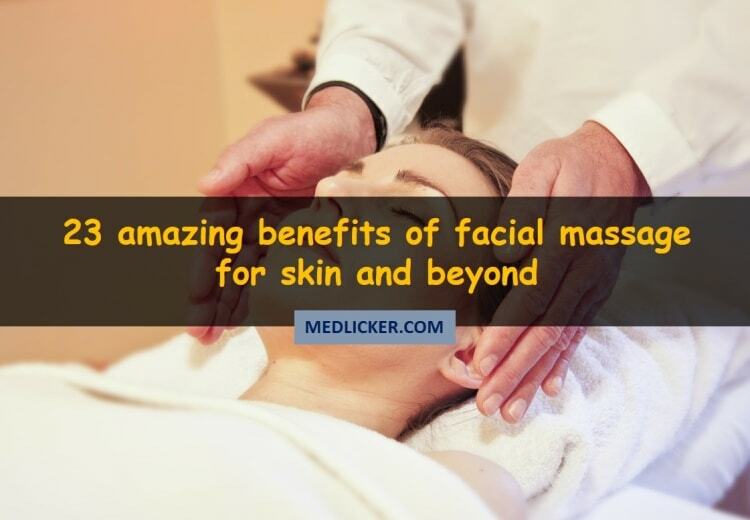 It is just a very informative post on various types and benefits of a facial massage. You should always see a doctor if you have any health issues!